How important is Fitness and physical preparation for climbing Kilimanjaro? Home / Blog / How important is Fitness and physical preparation for climbing Kilimanjaro? How important is Fitness and physical preparation for climbing Kilimanjaro? I could answer this in so many different ways and I will discuss some here but a lot easier to tell you. Feel free to e-mail or call me for further information. I have climbed Kilimanjaro 30+ times to date in all seasons and in a wide range of days. READ MORE for my approach to acclimatization. Feel free to browse our BLOG for a wide range of post on training, preparation and top tips for climbing Kilimanjaro. We have put over 2,000 people on the summit of Kilimanjaro over the past 10 years so we have seen the do and don’ts of coming physically prepared for the climb. There is a lot to think about, when climbing Kilimanjaro. Am I too young? too old, can I prepare in 3, 6, 12 months for the climb? What clothing so I need? Which trekking company should I go with? I have never slept in a tent before? and hundreds and hundreds of other questions you may have. When it comes to fitness you do need a decent level of fitness. If you are planning a 5/6 day ascent and decent of Kilimanjaro (NOT RECOMMENDED) you will need to be fitter and stronger to be able to cope with the rigors of low oxygen environments. You will more than likely have to content with Altitude sickness. Headaches, vomiting, diarrhea, dizziness, fatigue and you will be risking high altitude cerebral edema (fluid buildup in your brain) which can kill you quickly and pulmonary edema (fluid buildup in your lungs) and with 42% of people making it up to the summit of Kilimanjaro you need to ready for failure if you try and ascent in less days. You are also pushing the porters and staff to the limit on these shorter trips. I highly recommend 8 days on the mountain, on the Lemosho route which gives the best acclimatization, climbing high and sleeping low. So if you are trying to climb in less days you your training plan will need to be different than if you are planning to climb Kilimanjaro over 8 days. So because we really only run 8 day climbs up and down the mountain, I will talk about fitness and physical preparation for climbing Kilimanjaro. If you are signed up to an Ian Taylor Trekking adventure on Kilimanjaro, our staff and myself (Ian Taylor) will be available 5 days a week to help you but together a personal training plan based off where you are in the world. We offer this personal service at no additional charge, we also send you our 45 page document on climbing Kilimanjaro to help you on your way. Having the right acclimatization schedule is the most important thing to consider when climbing Kilimanjaro. On our 8 day climbs fitness is not necessarily the most important thing to be thinking about. Fitness will come from doing the right exercise for the climb. Doing activity which best mimics the climb up and down the mountain is critical to your success, enjoyment and having a safer trip on the mountain. Physical conditioning for the climb is so important. What does that entail? Well, you will be walking up and down hills for 8 days. READ MORE ABOUT DAILY DISTANCES ON KILIMANJARO. You will have a back pack on with probably 6kg or 12lbs each day and you will be hiking for 4 to 7 hours on any given day. You will be carrying 3 liters of water, rain gear, spare layers of clothing, snacks, camera, sun cream and possibly other items. You will be doing this each day for 6 to 8 to 14 hours per day. Remember the summit night on Kilimanjaro starts at 4,650m/15,200feet and goes up to 5,895m/19,341feet this takes from 7 to 8 hours to reach the top. 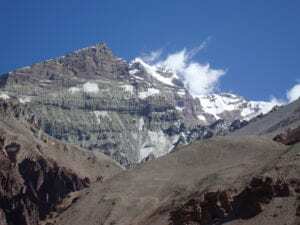 Then you have to return to the high camp which can take 3 to 4 hours and then you have to return even lower to 3,100m/9,000feet which takes 4 hours of walking downhill. This is all done in one day. The summit night climb and getting back to Mweka camp at 3,100m/9000feet can take 14+ hours and you still need to wake up and trek the final 3 hours to get out of Kilimanjaro national park and you will have been walking on a multiday basis to get to high camp. So you need to come with the right leg strength and overall strength to complete the climb. Your body is going to be under serious strain already as it tries to adapt to the low level of oxygen. So it is critical to be build your training correctly for the climb. 1). Train on the hills once a week with a weighted back pack (if you have them). You will need to be building from 5kg in your back pack up to 10kg before you go on the climb. You need to be trying to get in 600m/2,000feet in elevation each weekend and building on this. Hiking for 3 hours and building that up to 5 or 6 hours once a week before you go. You need to build slowly so months of preparation is needed. If you are starting from scratch you will need more time in slowly building you training up to this level. If you can do multi-day hikes back to back on your days off work this is even better. This can be done in the final 4 weeks of training. If you do not have hills you need to improvise and get in longer sessions in the gym using a wide range equipment. We can help you build a training program that makes sense. 2). You need to build your training to 10+ hours per week. As you start your training you should be aiming for 4 or 6 hours per week. 4 hours in the gym (45 minutes per night) and 2 hours of hiking or longer session on your day off. You should be aiming to build each daily session up to 1 hour and 30 minutes per day, adding 1kg/2Lbs to your back pack each month and in each session. This will build your endurance and strength as you slow build your body up to training longer and harder. You should be working in the fat burning zone which is lower heart rates at first. (Do a fitness test to determine max heart rate and training zones) Heart rate training zones will be different are each person. A wide range of factors will determine your personal training zones. For me if I can train at heart rates 145 to 160 consistently for 1 hour and 30 minutes with 10kg/22lbs on my back. I know I am in good enough condition. I still need to do the longer 4 to 6 hour hills up and down to build leg, back, core and overall physical conditioning for the climb. We can help you build a training plan that works for you and where you live. 3). Do some additional weight and interval training towards the last two months of your physical preparation. Your knees are going to be under serious pressure as you drop from 5,895m/19341feet to 3,100m/ 10,170feet in the 14-hour summit night. You will be ascending over 4,000 feet up and 9,000feet downhill on Kilimanjaro. Training with the additional weight in your back pack will help you build additional strength but doing some additional weight training can really help. You should focus on the following areas: Quads, Calf’s, hamstrings, lower back, core and shoulders. There are a wide range of exercises you can do to help build the strength and we can help you with these exercises. You should also consider interval training for example spin classes in the gym. You can do this anywhere, outside, on a running track on a treadmill and we are happy to advise you on the best time and way to maximize the benefits of interval training.